ME&A sponsored a booth at Devex’s annual Global Development Career Forum in Washington D.C. March 29, 2019, an event connecting more than 600 mid-to-senior-level global development professionals with recruiters from more than 60 international development firms and nongovernmental organizations. 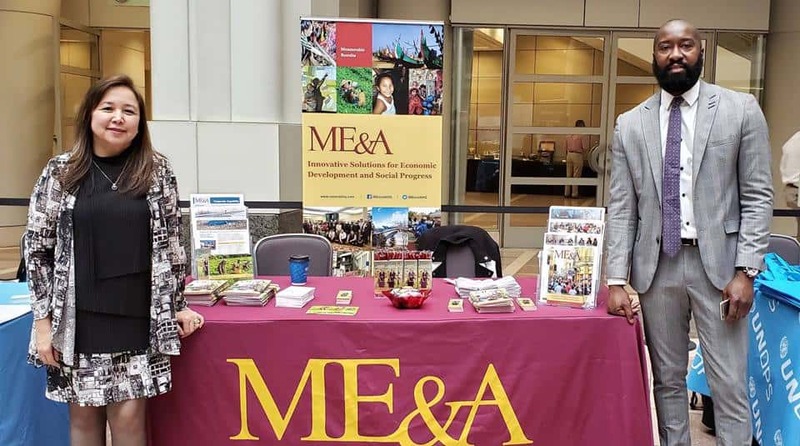 The recruiting event provided an opportunity for job seekers to make connections with representatives from influential global development organizations and learn more about their contributions to the field of international development and current career opportunities. The event also provided job seekers with practical advice on increasing resources and opportunities to boost their career. ME&A was represented by Lizette Laserna Salvador, Director of Human Resources; Kendell Brown, International Talent Acquisition Consultant; and Sara Kline, Program Manager who were there to recruit top talent for ME&A’s domestic and international positions. Devex is the largest provider of recruiting and business development services for global development.